Water purification and water preparation systems. Circulating water supply of water consumption objects. Utilisation of municipal waste silt areas. Project Concept: Proteolytic enzymes are widely applied in various fields of industry. The main source of them is glandular organs of cattle and pigs. This source is limited. That’s why the extension of knowledge about the properties of enzymes as well as the search of new producers have remained actual so far. A perspective group in this respect is fungi. Project Goals: to determine the presence of enzyme proteins which is an inherent feature of basidiomycetes and ascomycetes (and other objects such as green algae); to discover peculiarities of regulation of proteolytic reactions of the specified biosystems. 4. to research the nature of proteolytic reactions of enzyme proteins of fish. -to determine additional sources of proteolytic enzymes including the usage in food processing industry and in forage production as well as the fulfilment of technical tasks. Project Concept: Introduction of energy- saving LED- lighting facilities as the main or additional source of lighting for plants grown in artificial conditions, including plants reproduced in vitro. Project Goal: The development of alternative energy–efficient sources of LED-lighting for stimulation of plant growth and development. Project Concept: to supplement traditional breeding methods with modern approaches used in molecular genetics – gene testing responsible for economically valuable characteristics. Project Goal: to develop a set of breeding methods of using genes as markers of productivity and hereditary diseases resistance in cattle breeding. To carry out the genotyping of dairy cattle population bred in Brest region by Kappa-casein (CSN3), beta-lactoglobulin (BLG), alpha-lactalbumin (LALBA) genes. To study the association of polymorphic variants of CSN3, BLG, LALBA genes with indicators of milk productivity of cows. To adapt DNA-analysis of cattle bred in Brest region for carriers of alleles associated with BLAD-syndrome, CVM and DUMPS mutations, coagulation blood factor XI deficiency. To develop a set of breeding techniques for the use of CSN3, BLG, LGB, LALB, BLAD, CVM, DUMPS, FXI genes as markers of productivity and hereditary diseases resistance. Project coordinators: Kasperowich D.A., Glinskaya N.A., PhD, Associate Professor, Volkova E.M.
Project Concept: The use of cellular technologies for the solution of applied problems of genetics, selection, plant growing and agricultural production, the control of genetic purity of planting material on the basis of PCR-analysis. Project Goal: the development of technological regulations for the production of planting material of monocotyledonous and dicotyledonous plants, the control of genetic purity of planting material. sale or transfer (with a licence contract) of developed technological regulations of production of seedlings of varietal Highbush blueberry, ornamental plant species of Pinophyta division, black aronia. the development of mixed fodder recipe, protein-vitamin-mineral additives and premixes for agricultural animals. Project Concept: The addition of traditional CWI with a help of cheap filtration system from environmentally clean materials. Project Goal: to develop new biological water purification systems from environmentally clean materials with the highest filtration degree. To conduct investigations from the resistance of various materials to destruction in the aqueous medium with the metabolites of clarid sheatfish. To investigate water product of filter substance and waste fish products after the final filtration process. To identify the most water resistant, cheap and effective material for the biological filtration. 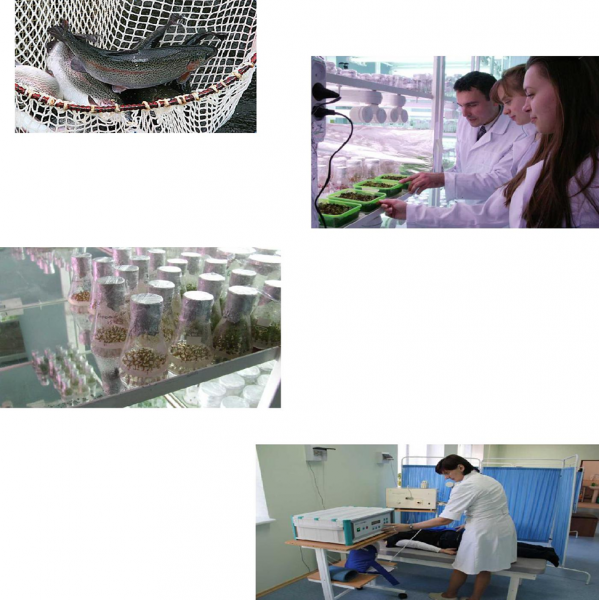 To develop new systems of the biological water filtration for the cultivation of clarid sheatfish. To reduce costs for buying the new equipment. To receive ecologically clear production bringing down the environmental pollution. The reduce water expenditure for culturing clarid sheatfish. Project Concept: The reduction of costs and the total production cost of the planting stock and commercial fish of the valuable fish species. Project Goal: A low-cost trout production of all age groups in different climatic conditions (including elements of innovative technologies). augmentation of survivability of embryos and rates of mass salmon accumulation when in use antioxidants, vitamins, low salt concentrations. 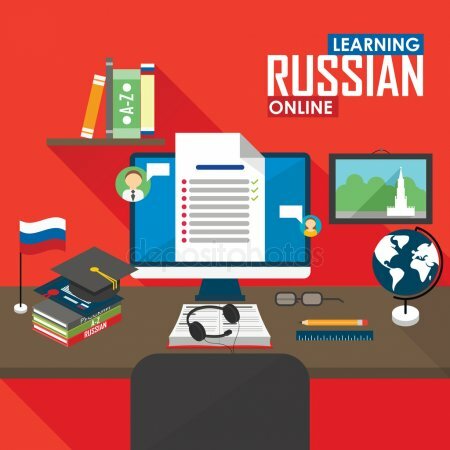 Project Goal: to develop and experimentally prove and introduce the efficiency of complex examination and the maintenance оf high level sportsmen including the studies of genotype, the state of adaptive reserves of the main systems, as well as psychophysiological regulation during various periods of a training cycle. Developing complex examination system and the maintenance оf high level sportsmen during various periods of a training cycle on the base of the results efficiency of psychological testing and monitoring the state of adaptive reserves of the main systems of organism at the preparation stages of high level sportsmen will be implemented. Project Goal: to develop recommendations to raise the efficiency of adaptive students’ behavior under the condition of mixed learning loads on the base of the estimation of psychological and psychophysical characteristics of stress resistance of students of various faculties at Polessky State University during considerable periods of an academic year and the studies of the influence of gene polymorphism of serotonin and dopamine transmitter systems of brain. Developing a complex program for psychological and psychophysical testing as well as individual programs of psychological correction of students will be implemented. Project Goal: to develop practical approaches to the formation of healthy life style technology on the base of the estimation of adaptive organism reserves related to different levels of population. Developing a complex examination system and medical maintenance of different levels of population in the process of formation of various healthy life style technologies will be implemented. Project Goal: Improving the quality of life of people with special needs, their rehabilitation through the organization of various educational activities in the system of higher education, and the professional training of students in the framework of the projects. Organization of thematic educational projects by students (e.g., teaching the basics of computer literacy for people of different ages with different types of violations). Development and holding of sports events for children with disabilities. Selection of appropriate equipment and development of techniques for the rehabilitation of people with disabilities in the framework of educational process of students of corresponding specialties (physical rehabilitation, ergotherapy, adaptive physical culture). Creation of the educational environment suitable for obtaining higher education by people with various kinds of disabilities. Project Goal: Commercialization of scientific and practical projects in all the areas of the cluster and acceleration of the innovative development of the Brest region and Belarus as a whole. The additional tasks are the following: the valuation of project commercial prospects; patent, certificate, marketing and economic preparation for commercialization of promising projects. Creation of informative, business and educational environment for the realization of scientific and practical projects. Providing support for commercialized projects. Target groups: Consumers, agricultural enterprises, farmers and entrepreneurs, processing plants and trade organizations, government institutions, academic institutions and public organizations. Final beneficiaries: Consumers from Belarus, the CIS and EU, entrepreneurs, agricultural enterprises and processing plants. Results: Production diversification, export diversification, growth of the number of entrepreneurs and organizations involved in effective production with high added value, increasing of investment appeal of business activities; cost reduction and shorter periods of development and commercialization of innovative products due to the establishment of professional contacts and business environment, and also due to the creation of business models and projects connected with certification, marketing, logistics, technologies and education. Project Concept: The level of Belarusian economy’s financial depth is one of the lowest in the world. It makes impossible to pursue the efficient discretionary economic policy. 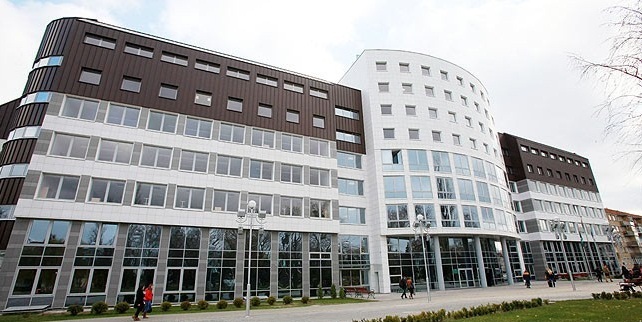 The increase of financial depth level is possible in terms of reforms of institutional structure of credit and financial system of the Republic of Belarus. Project Goal: The development of constructive state activism strategy that involves active fiscal policy and expansive monetary one with prevailing role of the latter. The strategy may be implemented by means of shaping the national investment culture and creation of stock market. The project assumes innovative financial instruments development, allowing implementing mass privatization in the Republic of Belarus, implementing investment socialization, shaping the internal stock market. Mistrust to national securities may be overcome by means of providing insurance of investment yield for state investors. Elaboration of different methods to provide insurance of the yield is presupposed to be offered in this project. Proposed strategy of shaping the market of investment benefits will allow increasing the level of financial depth of Belarusian economy on non-inflationary basis. E-money (including cryptocurrencies), payment services, technologies for banking services (analytics, data handling, Customer Relationship Management (CRM), security, automation of consulting, creditworthiness assessment), investment decisions (collective investment, crowdsourcing, crowdfunding, crowdinvesting, fundraising), online crediting, currency exchange services, control of personal finances and others. - utilization of storage capacities at industrial enterprises. - increase profits at an enterprise. Reagent and cartridge-type filters are not used for sewage and waste water, chemical processing, desalination of sea water . Water treatment and desalination of sea water are carried out by means of electrical energy - physical fields (ultrasound, magnetic field, thermal radiation, etc.). 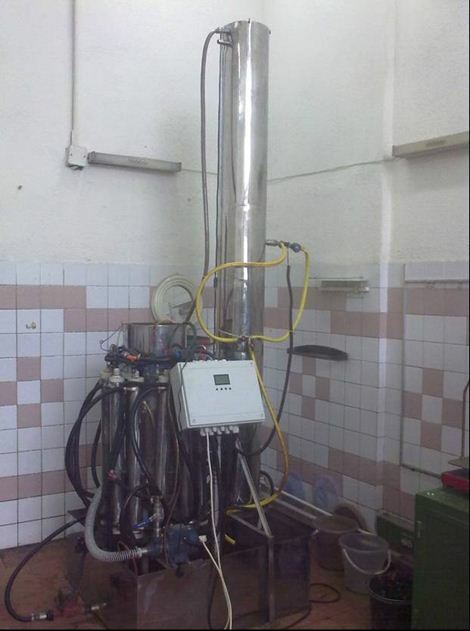 - about 6 kW of electrical power for chemicals processing . - cut down the expenses for water treatment up to 90 %. - the complex occupies small area. - getting safe (Class C & D waste ) mud - filtrate . Documents on mud - filtrate will be given. Indicators of polluted water treatment by the help of SUW complex are given in Annex 1 (1 page) . The list of industries where the complex can be used is shown in Annex 3 (3 pages) . Description of the technology is given in the Annex 4 (11 pages). The SUW complex provided an ion-exchange water conditioning with solution preparation for ion-exchange filters’ cleaning and regenerate processing ( neutralization ) with the continued use of treated water in the circulating water supply, water recycling of electroplating. The questionnaire for the projecting of water treatment systems is given in Annex 5 (1 page). We are proposing you to consider the SUW complex application for treatment of sewage and polluted water, water conditioning for the needs of enterprises, desalination of sea water. The main objectives of the SUW complex are improving the environment in the region and human health , reducing production costs and increasing the profits of enterprises . In case of interest we offer to meet with your technologists, to familiarize with the equipment located in Ukraine and the technology of the SUW complex. The cost of the SUW complex depends on the functional characteristics . - characteristics of contaminated water at the entrance to the SUW complex . 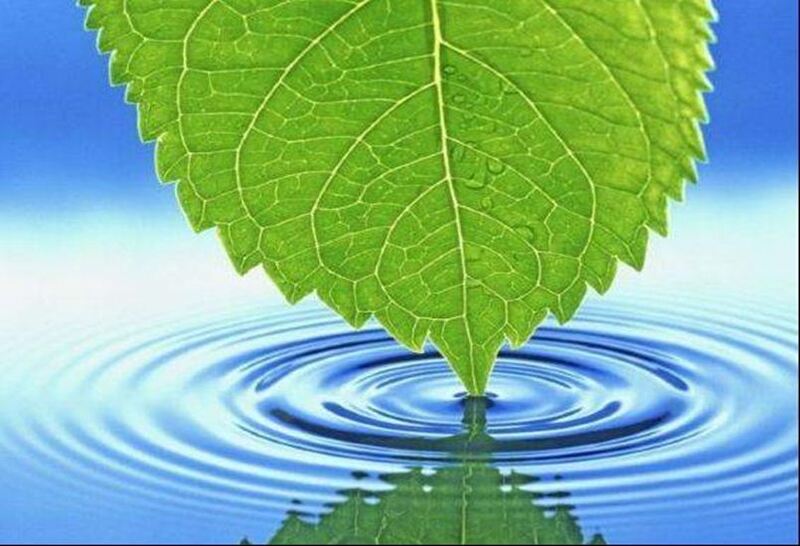 The main characteristics of SUW: non-chemical cleaning; automatic operation; absence of removable elements for water treatment (cartridges, filling the filter); self-dependent regeneration system; minimum of footprint; operates under conditions of salvo blowout of water pollutants . * - Removal of chlorides, sulfates and nitrates are all within 40% of baseline, depending on the pH, the total salt content at the raw water in one pass of the polluted water through complex SUW. For two passes the content of chlorides, sulfates, nitrates reduced by 2 times, in three passes – for three times and so on. - the "Kiev communal services "Stolychnyy", Kiev, Ukraine. The company has carried out the washing and dry-cleaning of clothes. - discharge of wastes into the sewer by 95%. Safe mud-filtrate in dry form (class “building refuse”) was received and used for needs of building industry. - the "Kiev factory "Electric", Kiev, Ukraine. 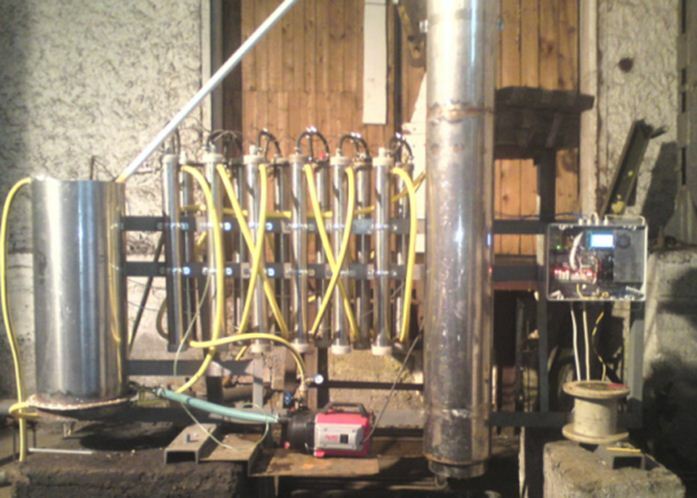 The SUW complex has carried out the treatment of contaminated water after galvanizing(-bath) room with followed water delivery to the manufacture. 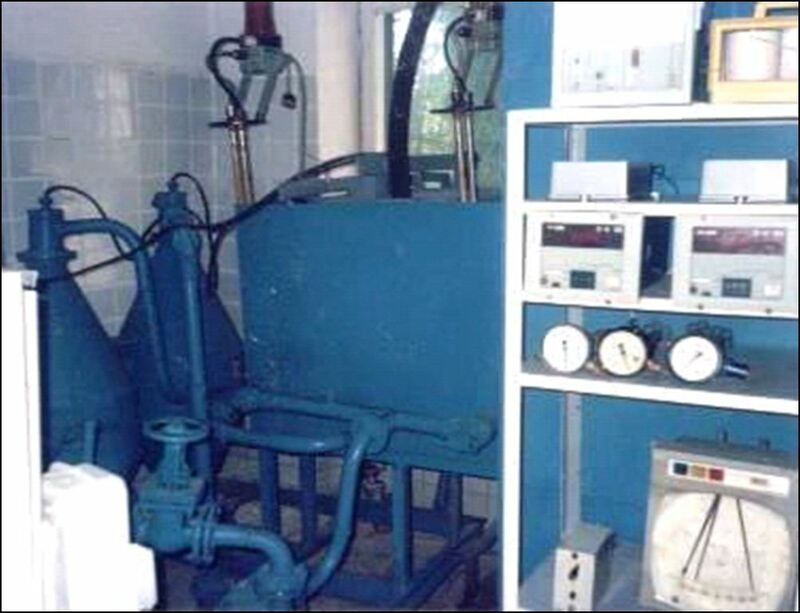 - water with technical parameters of GOST 9.314-90 "Water for electroplating and leaching circuit ", GOST 9.305-84 " Metallic and non-metallic inorganic coating"
Using of the SUW complex has allowed the factory to reduce water consumption from water pipeline by 70% (namely from 39.5 million m3 to 11.3 million m3) and to cut down expenses for water conditioning. 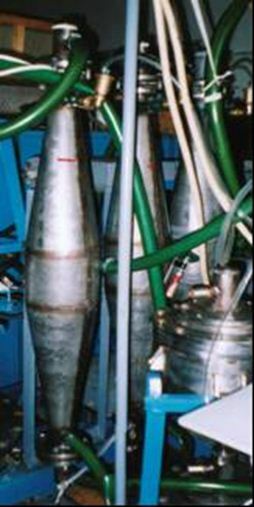 Metals Fixation reliability of heavy metals in sludge, mg / l.
- the "Kiev factory " Quantum ", Kiev, Ukraine. The complex has carried out the treatment of wastewater at the metal coating area in the volume of 144 m3 per shift (432 m3 per day) with followed delivery of purified and treated water (according to the technological requirements ) for the needs of the enterprise . During the operation, the SUW complex formed safe mud-filtrate in dry form (class “building refuse”) which was used for needs of building industry. - the SPA "Rotor" (which is called "Bogdan" now), Cherkassy, Ukraine. The SUW complex provided an ion-exchange water conditioning with solution preparation for ion-exchange filters’ cleaning and regenerate processing (neutralization) with the continued use of treated water in the circulating water supply, water recycling of electroplating . The SUW complex uses in its work the following technologies: non-chemical, self-regeneration, automated, without changing of water-purifying elements (absence of cartridges, etc.). The principle of operation is based on the pass of continuously flow of polluted water through the artificially created, recirculation working volume with buffer anionic and cationic properties. 3 . Recycling water-supply at company. 4 . Organic wastes’ recycling into organic fertilizer. 3. Recycling water-supply at company. 2 . Waste water treatment . 2. Waste water treatment and reservoir water. 4. Eliminating of infiltration at domestic landfills and their drains cleaning. - area - 5 m2; - volume - 15 m3.. The basic technological equipment is intended for treatment of domestic and industrial drains, including electroplating effluent passing while stressing the need of solutions necessary chemical components and connections. The technology used allows you to use the physical fields (ultrasound , magnetic field , thermal radiation , etc.) control over the molecular structure of aqueous solutions , yielding pre-defined set of water quality parameters and / or the composition of the extracted components. The need for a SBV as a harmonized set of water and wastewater treatment is dictated by what is known and the proposed list of similar technologies and technical performance of non-standard equipment recycling systems have low reliability. Analysis of similar technologies and hardware designs of drinking water shows that almost all of them use one of the main 4 existing methods of water purification. Of the variety of methods used by water and wastewater treatment in the world in efficiency are four main products: reagent , ion exchange , electrodialysis , electrochemical . The proposed technology was first used in all the main methods of cleaning as the main maximum elimination of inherent flaws. The principle of operation is based on the SUW stepwise processing of fluid flow in the liquid and gas phase in the three closed recirculating bypass circuits in general make up a system of " consumer" - "a source of water supply ." 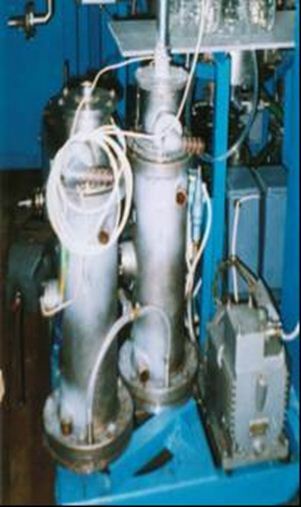 The peak concentration of the metal salts of iron, zinc , nickel and other substances on the inlet unit may reach 100 g / l and more . Cleaning is performed in the electrokinetic flow processes. For hazardous waste treatment used as a reagent iron salts produced during electrolysis of the metal. SUW can be used for purification of tap water up to the standards "Drinking Water" installation SUW online at the entrance of the residential high-rise building. At the same time prevents the appearance of SUW in the tap water with degraded performance due to unforeseen accidents in the supply distribution network or head treatment facilities. This is especially valuable for southern areas with inadequate water supply. In this case, all the cleaning products do not have the hazard class and discharged into the sewage system in normal mode without exceeding MACs. Cyclones are connected in series and operate functions intensification of flotation or sedimentation of the reaction products with their withdrawal from the stream for further processing. Mounted in the cyclone body electrodes connected to the instrumentation . Water from the receiving chamber with a uniform direction misses the electrolysis chamber where the cathodes and anodes are set , connected with instrumentation . If necessary ( depending on the sinks) are placed in the anode catalyst space . On the anode chamber of the electrolysis zone water gets into the anode chamber with a cathode - a cathode . 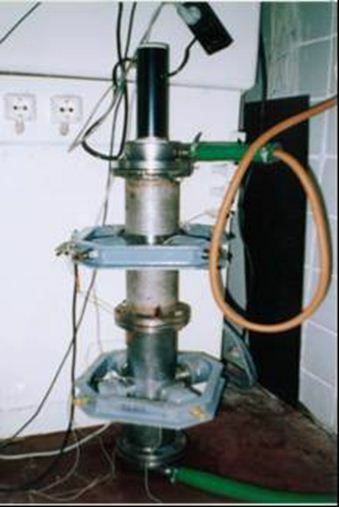 The anode and cathode chambers are connected with a line pump. The filter is formed by a cutter powder ( grade construction wastes) in the purification process . Provides control of water treatment in the SBV . Provides zagrznennoy pumping water. Centrifugal pump is a major consumer of electrical energy in the electric circuit Position purification. 1. The cost of the water used in production processes, reduced in 6,8-8,1 times. 2. Cleaning drains for reuse in the system of water recycling is carried out without the release of water into the sewer. Claims of control in parts of the circulating water system is not available. 3. The new equipment does not require stopping the main production. 4. The existing technology and equipment used without change, requiring additional cost. 5. At the cost of production has decreased component of the "use of drinking water and the discharge of industrial waste into the sewer." 6. Reduced water consumption limit. 8. Reduced consumption of reagents major production. 9. 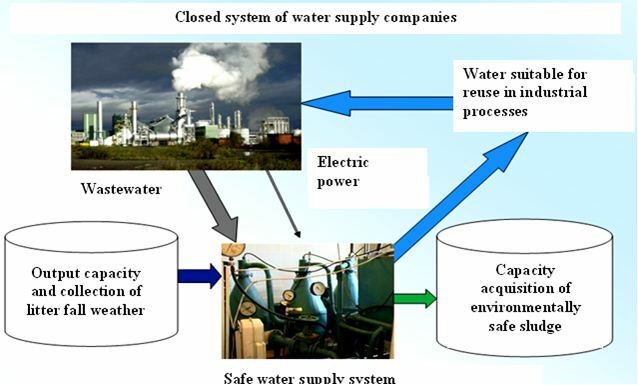 Simplified management of the system of industrial water supply. 10. Decreased the number of water treatment products. 2 . Quality and quantity of water treatment ( waste water). 7. Layout area where you plan to install SUW with existing communications (internal, external): water supply , sewerage , municipal sewer, storm sewer , electricity , and communications. 8. Quality parameters and flow rate at the outlet from the SUW (after SUW).